We’re delighted Fr33 Aid was recently included among the charities receiving support from Bitcoin100. Bitcoin100 sent Fr33 Aid approximately 8.3 bitcoins on Sunday, after their treasurer, “Rassah”, posted about us on their thread in the Bitcoin Forum. Stephanie and I met Rassah at the Bitcoin Conference a few weeks ago, and he contacted us to follow-up shortly afterward. Bitcoin100’s purpose is to entice non-profit organizations to accept bitcoin donations alongside their other donation methods. Bitcoin100 includes over 100 bitcoin users who have pledged to collectively donate $1000 to any charitable organization that agrees to accept Bitcoin donations. They encourage members to reach out to their charity of choice, pledging to donate regardless of whether the charity’s decision to accept bitcoins was due to Bitcoin100’s activities or due to persuasions of other third parties. 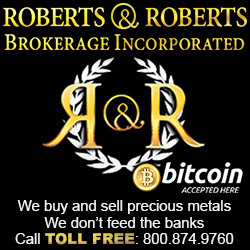 Bitcoin100 currently has over 300 bitcoins in assets, ready to donate to eligible organizations. 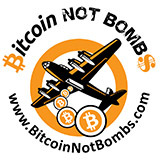 We hope more and more organizations, for-profit as well as non-profit, will join us in using bitcoin. The more robust the bitcoin economy, the more wealth can be achieved by those of us who participate. Meanwhile, we are very grateful to the support of organizations like Bitcoin100. For more information, see our news release here.